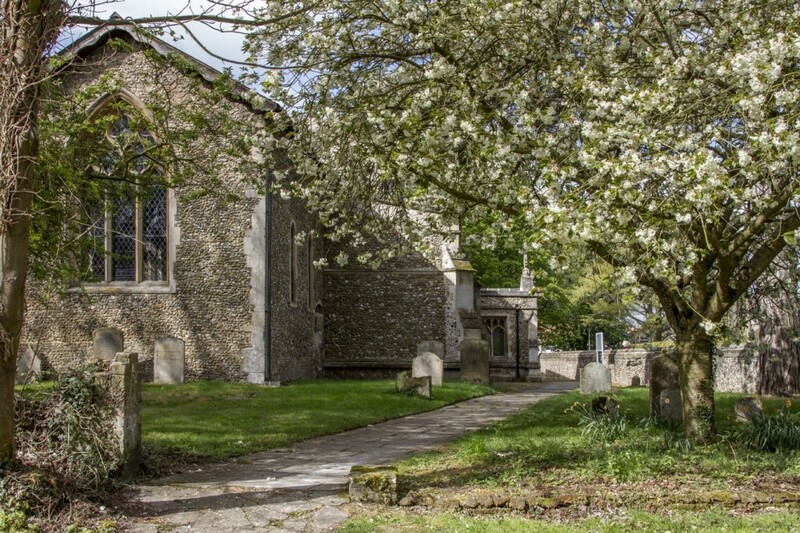 St. Mary the Virgin Church, Sawston, England, oldest part of church was built in 1066 A. D.
There have been quotes from this essay in previous Emailmeditations, but the next two meditations will contain the entire piece. Lewis wrote this as an article for a parish newsletter at the request of Father Patrick Kevin Irwin (1907-1965), who at that time was serving at the Church of St. Mary the Virgin, in Sawston, Cambridgeshire county, in England. However, Father Irwin was transferred to another parish before it could be published. Many years later, after Father Irwin died, family members discovered the manuscript among his papers. It was first published in 1975. We say a great many things in church (and out of church too) without thinking of what we are saying. For instance, we say in the Creed “I believe in the forgiveness of sins.” I had been saying it for several years before I asked myself why it was in the Creed. At first sight it seems hardly worth putting in. “If one is a Christian,” I thought, “of course one believes in the forgiveness of sins. It goes without saying.” But the people who compiled the Creed apparently thought that this was a part of our belief which we needed to be reminded of every time we went to church. And I have begun to see that, as far as I am concerned, they were right. To believe in the forgiveness of sins is not so easy as I thought. Real belief in it is the sort of thing that easily slips away if we don’t keep on polishing it up. We believe that God forgives us our sins; but also that He will not do so unless we forgive other people their sins against us. There is no doubt about the second part of this statement. It is in the Lord’s Prayer, it was emphatically stated by our Lord. If you don’t forgive you will not be forgiven. No part of his teaching is clearer and there are no exceptions to it. He doesn’t say that we are to forgive other people’s sins, provided they are not too frightful, or provided there are extenuating circumstances, or anything of that sort. We are to forgive them all, however spiteful, however mean, however often they are repeated. If we don’t we shall be forgiven none of our own.